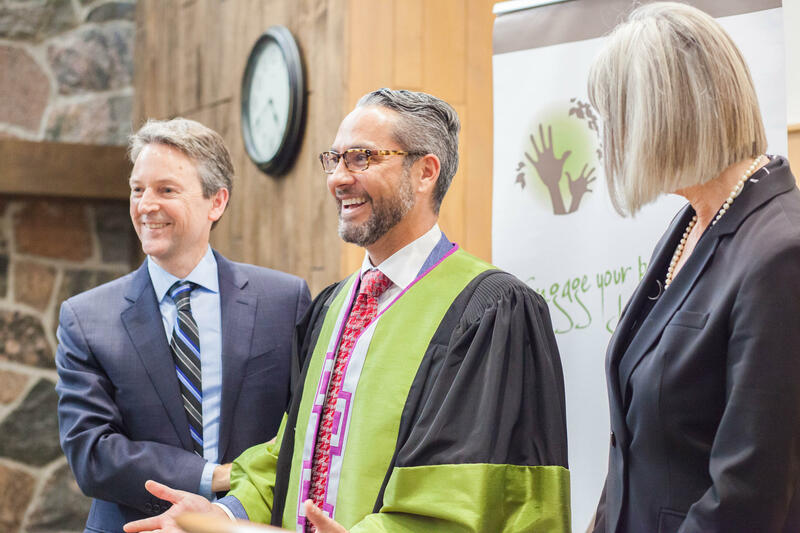 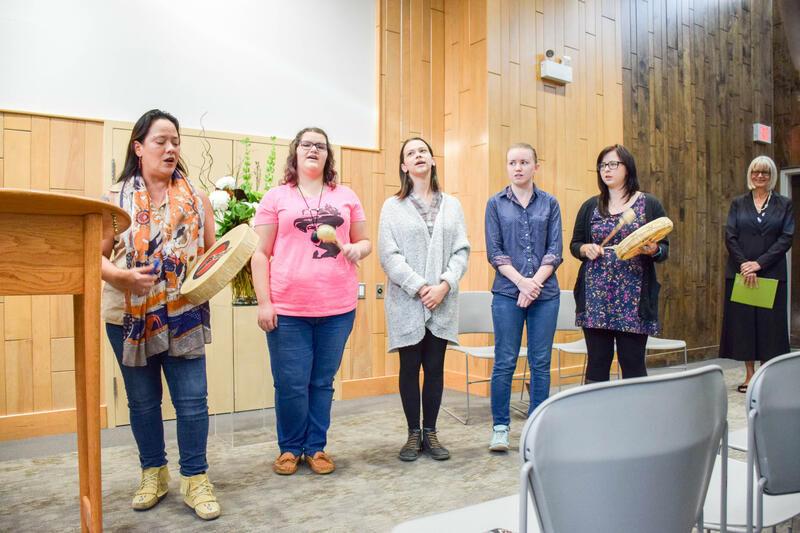 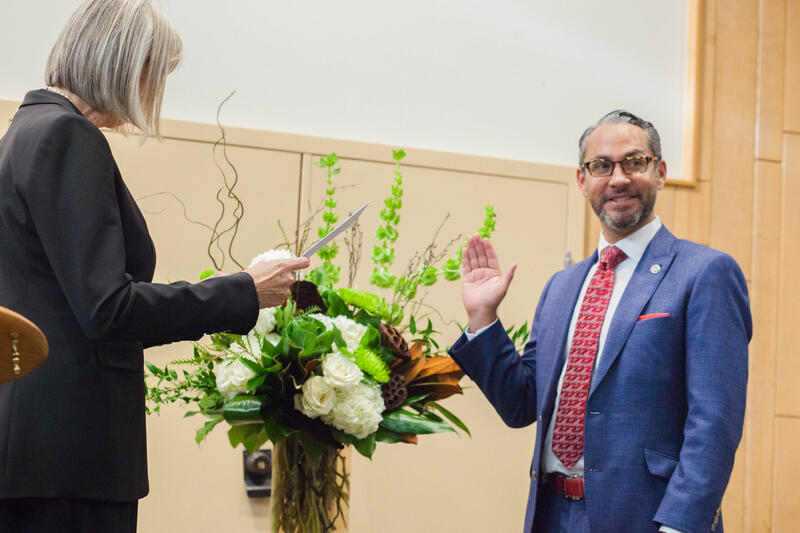 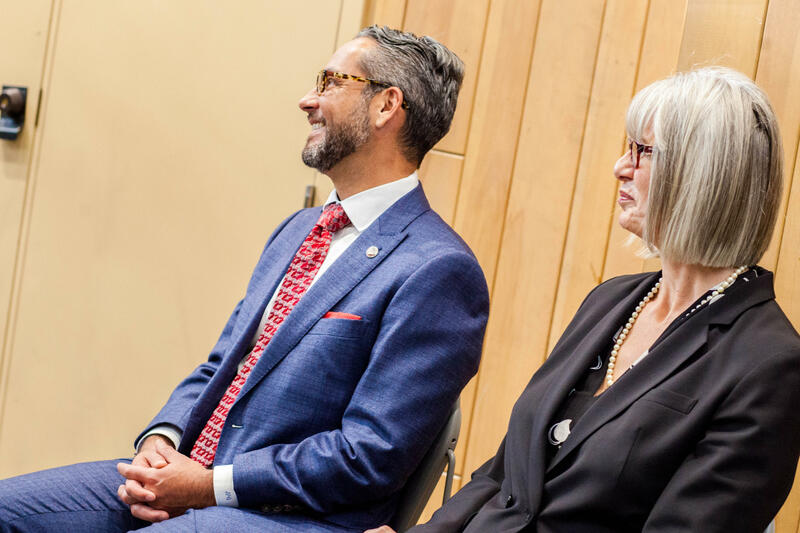 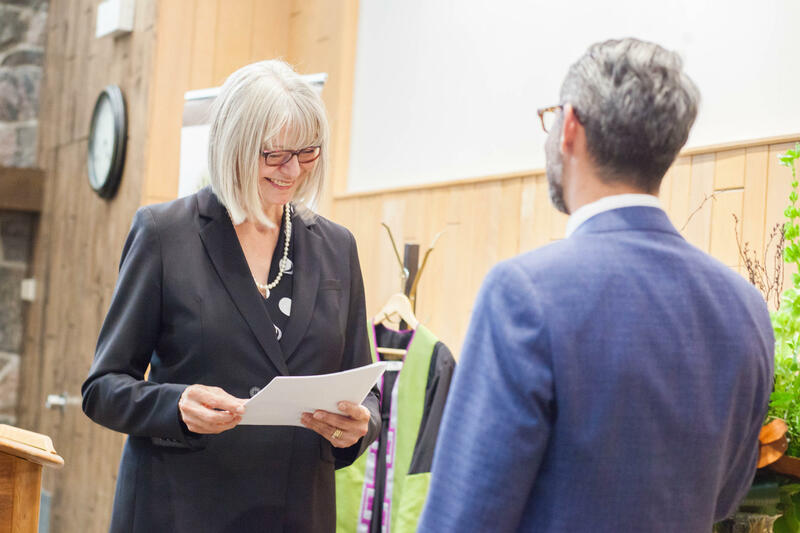 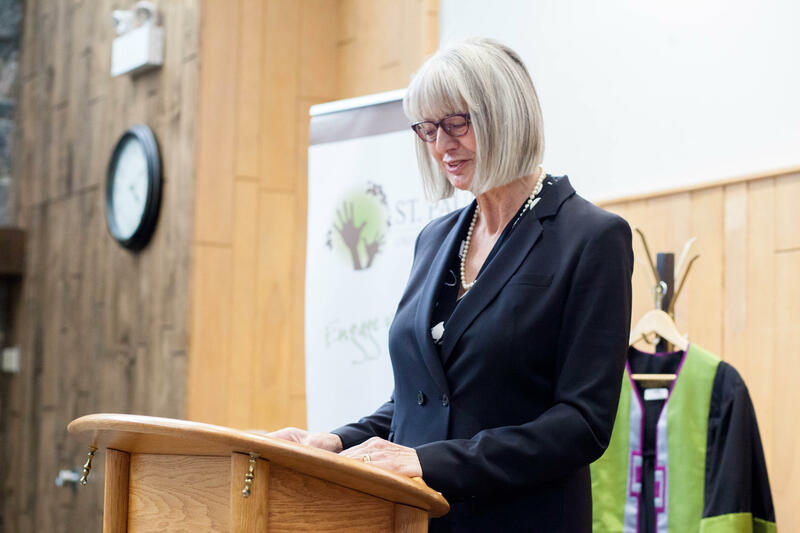 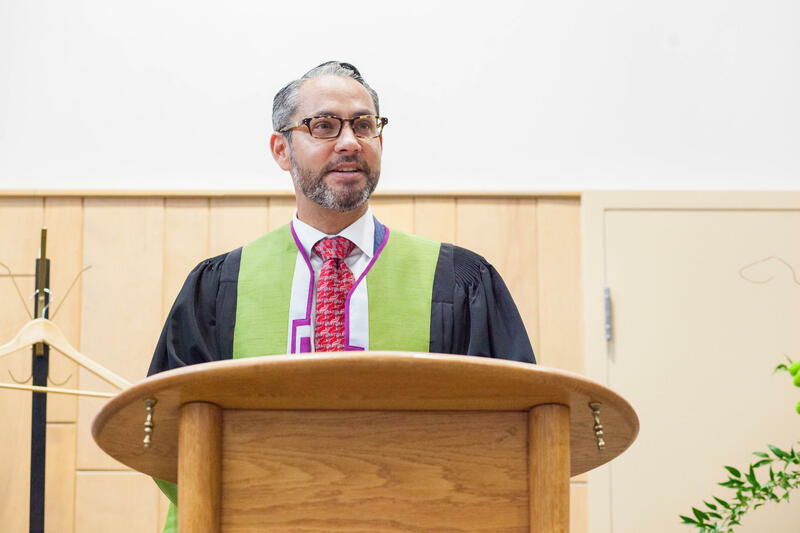 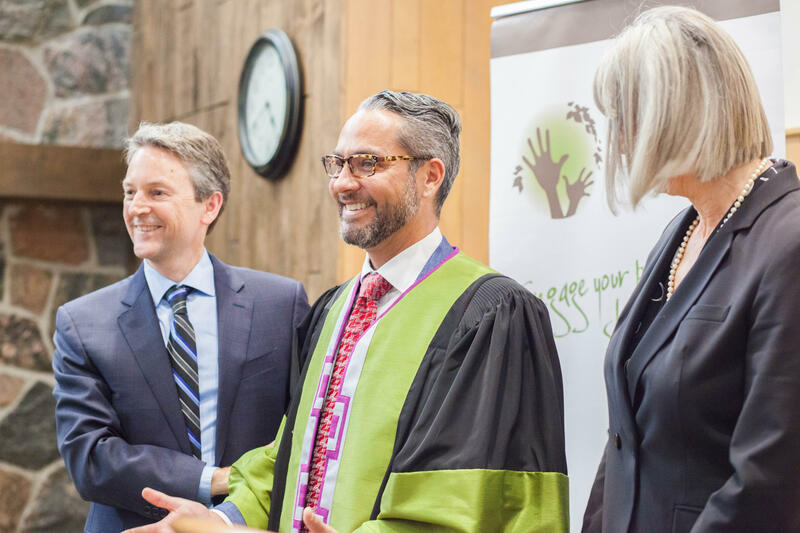 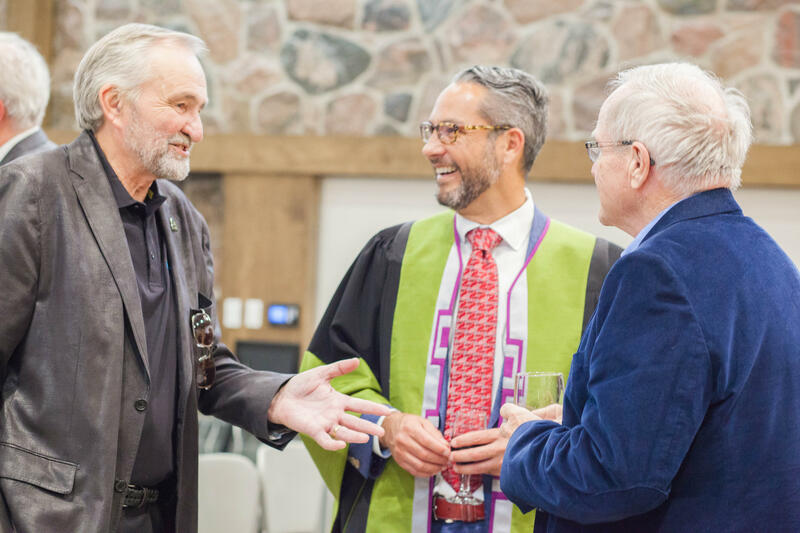 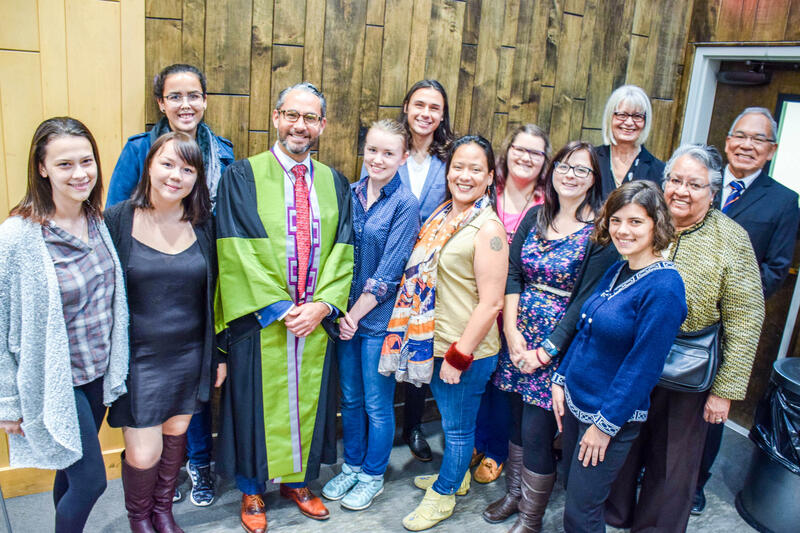 Several people gave words of welcome to the new Chancellor, including Jeff Casello, Associate Provost, Graduate Studies, who mentioned the timeliness of the appointment as the University of Waterloo embarks on its Indigenization strategy, and the key role that entrepreneurship plays for the University. 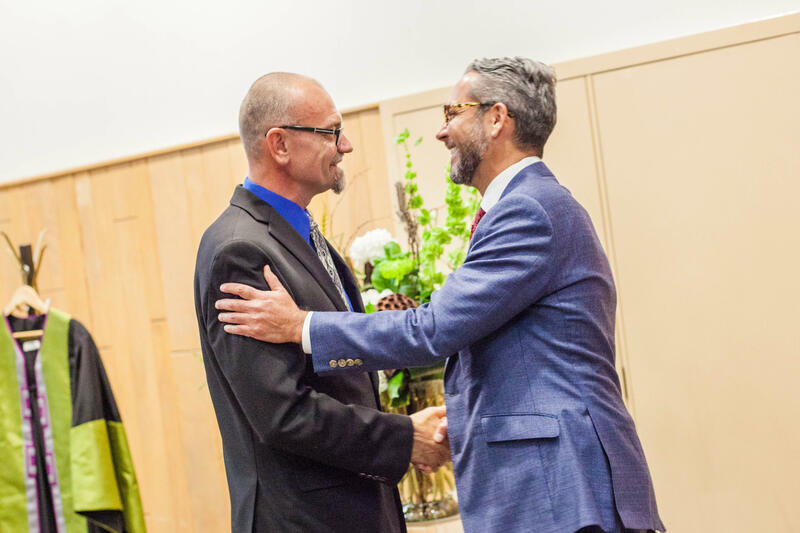 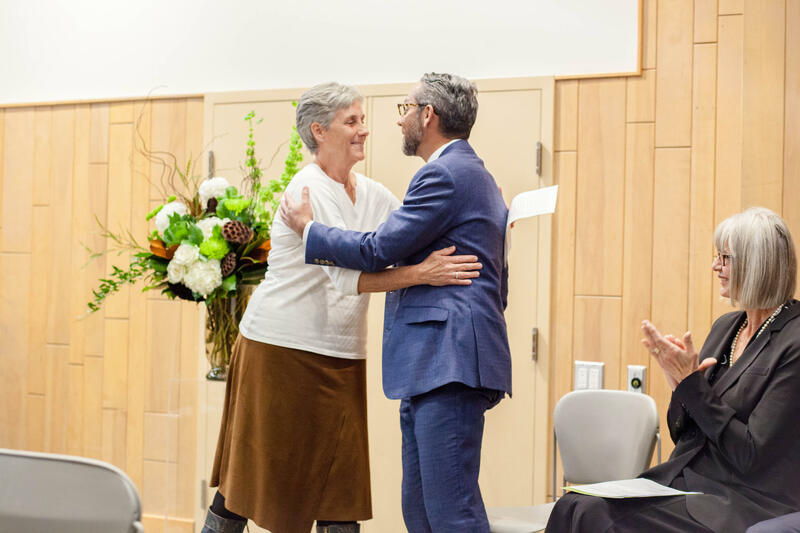 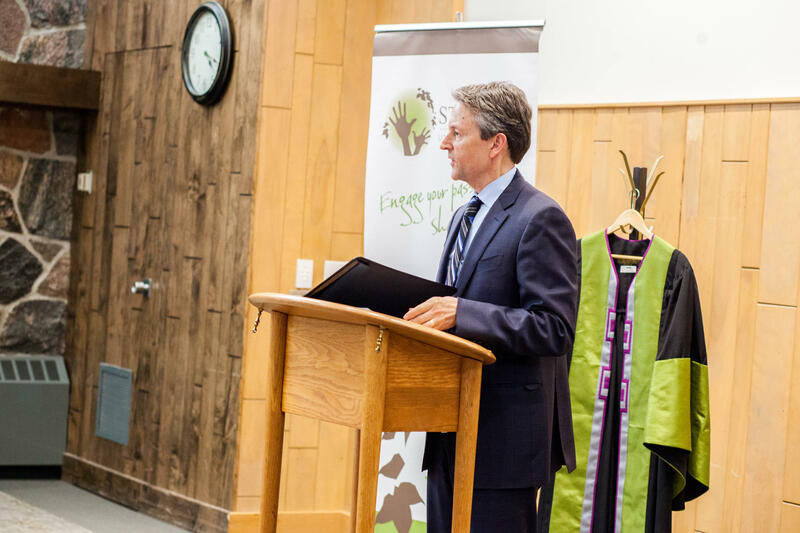 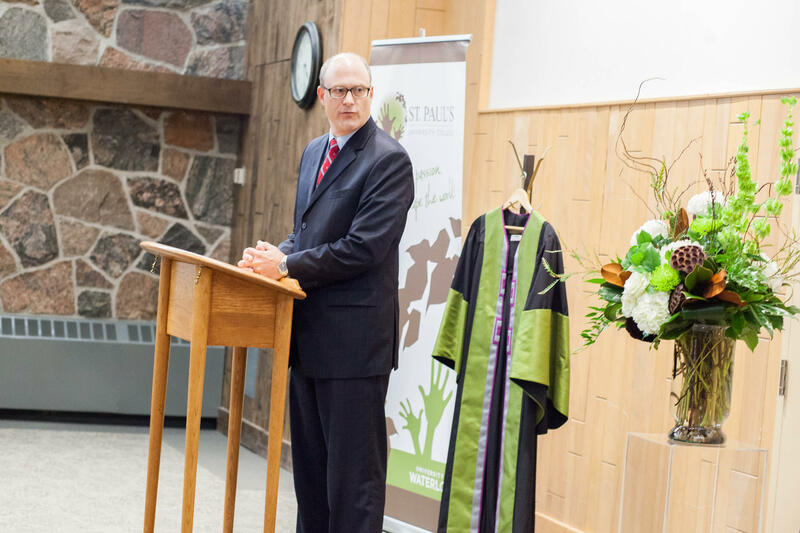 Katherine Bergman also welcomed Mr. Gladu on behalf of the Affiliated and Federated Institutions of Waterloo, as did Peter Frick on behalf of faculty at St. Paul's, Amy Smoke on behalf of staff, and Ben Zammit on behalf of students. 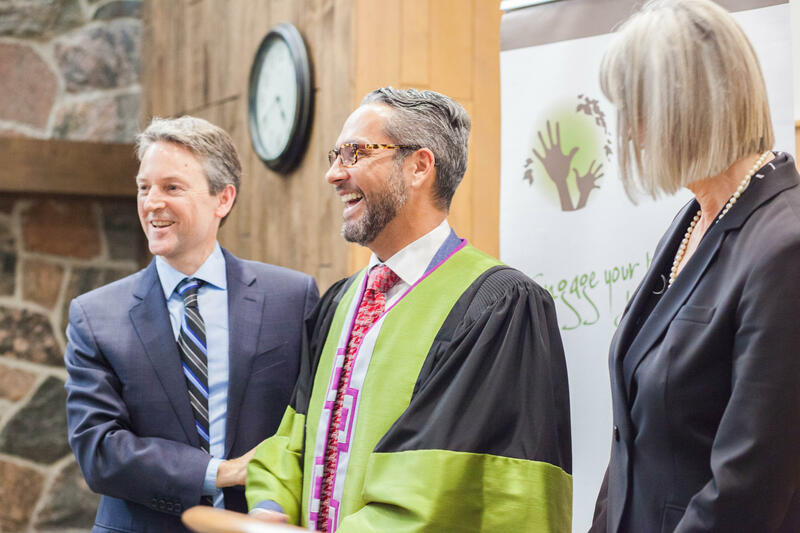 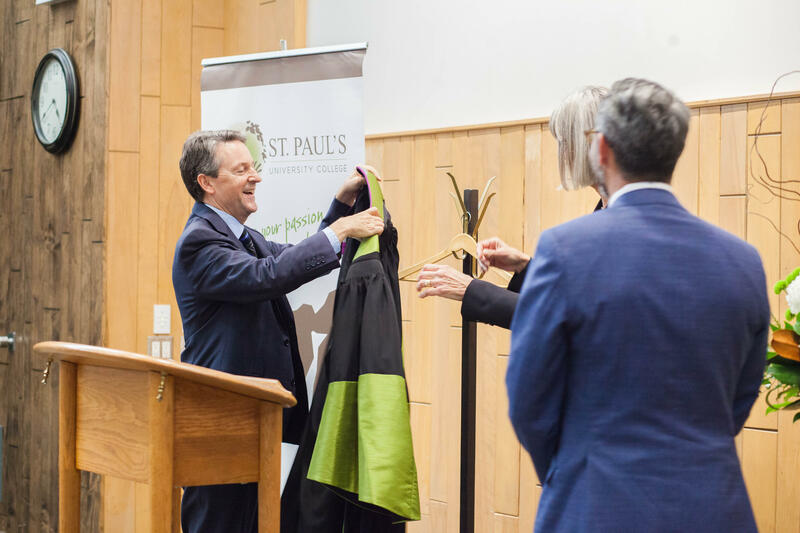 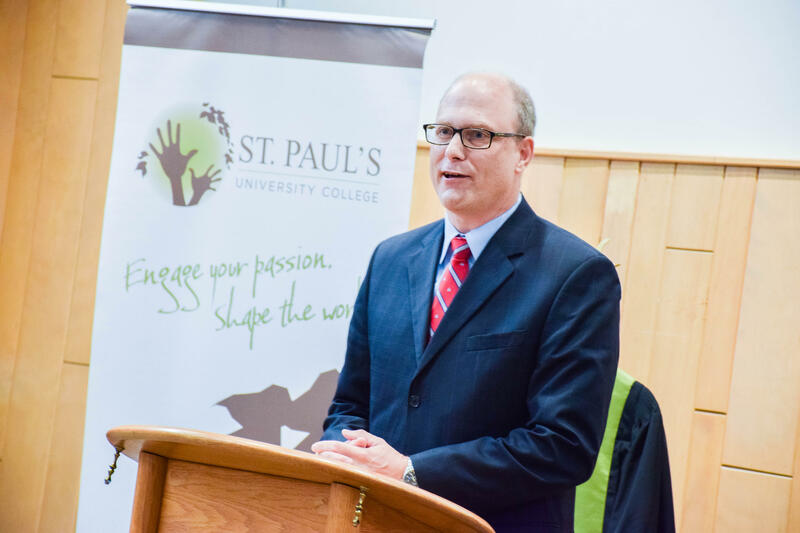 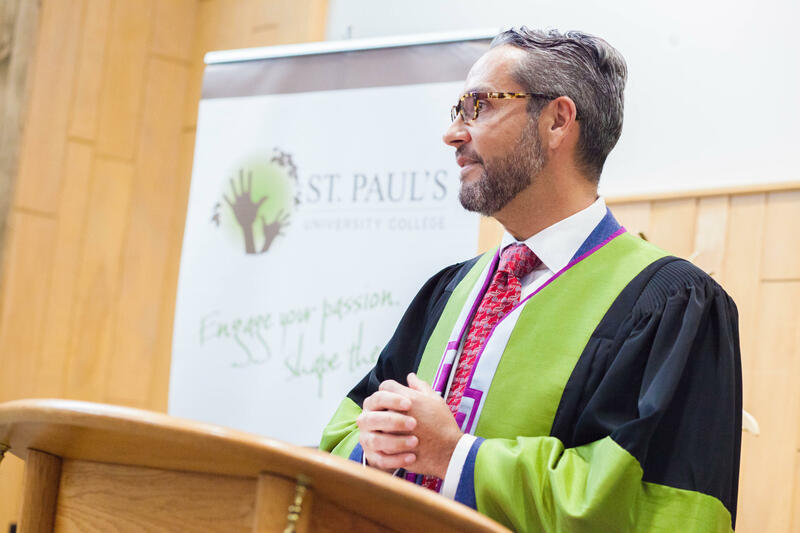 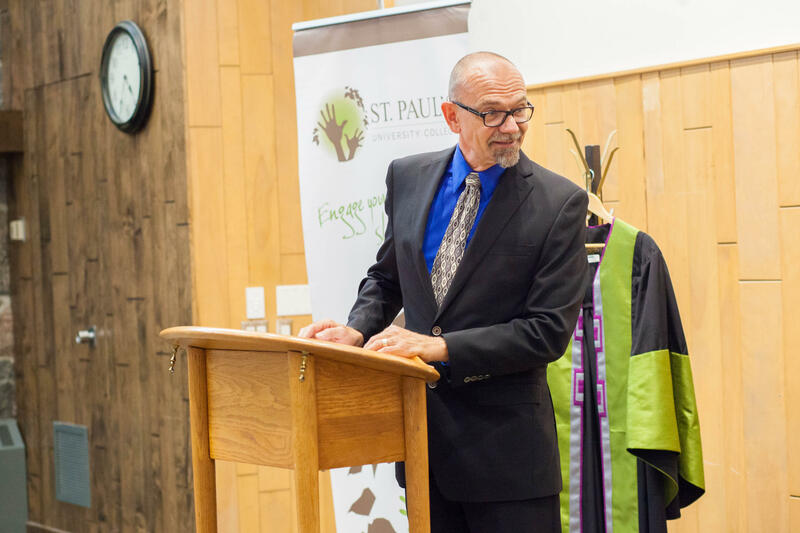 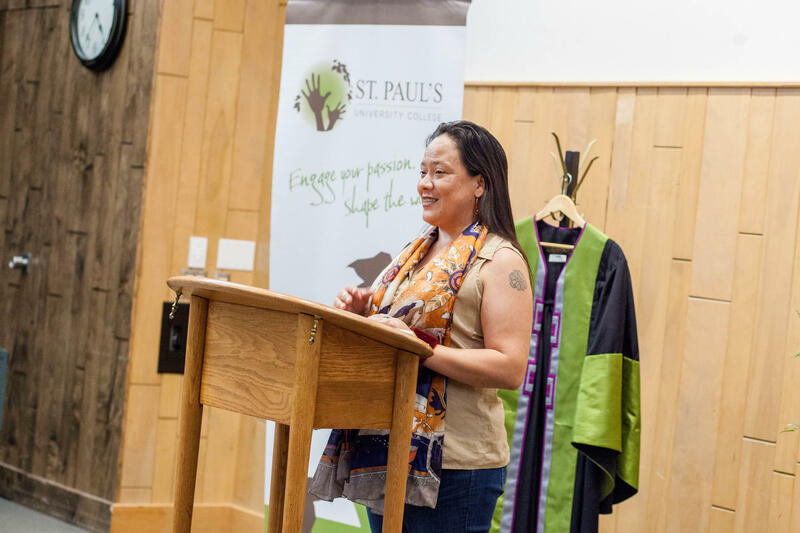 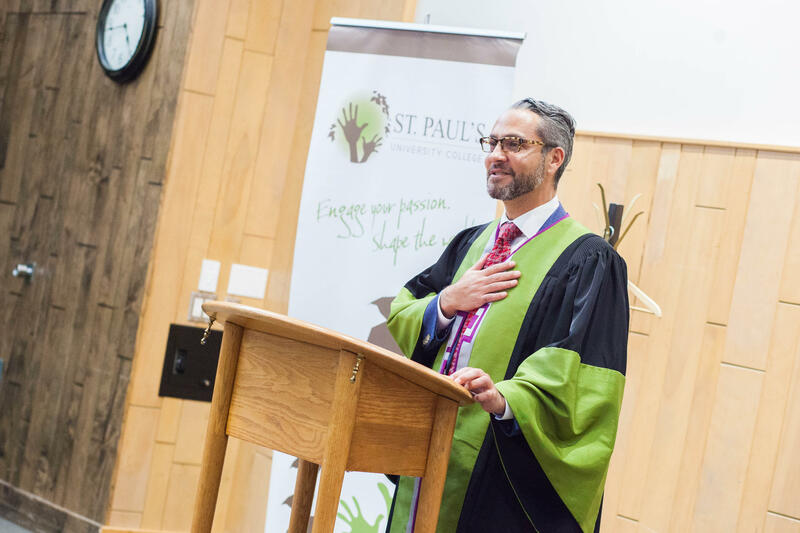 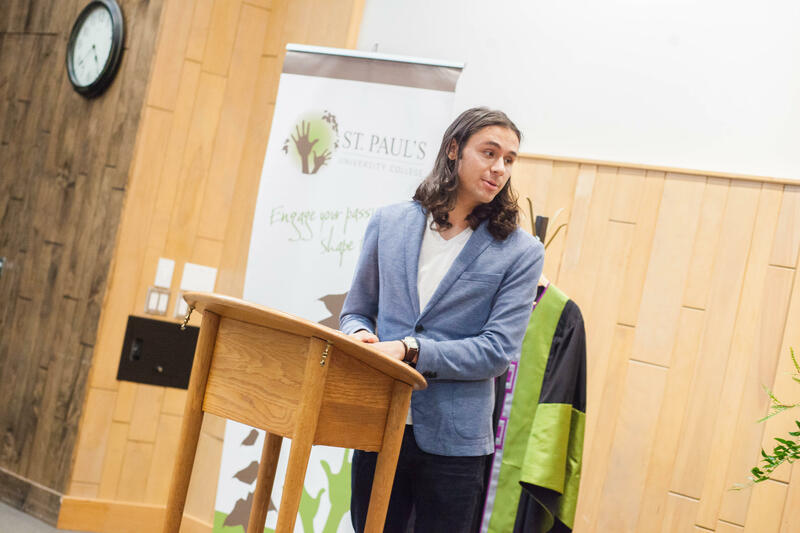 St. Paul's Principal Rick Myers described Mr. Gladu as "a dynamic young entrepreneur" who bridges many communities, including two key aspects of our programming at St. Paul's: Indigenous education and social entrepreneurship. 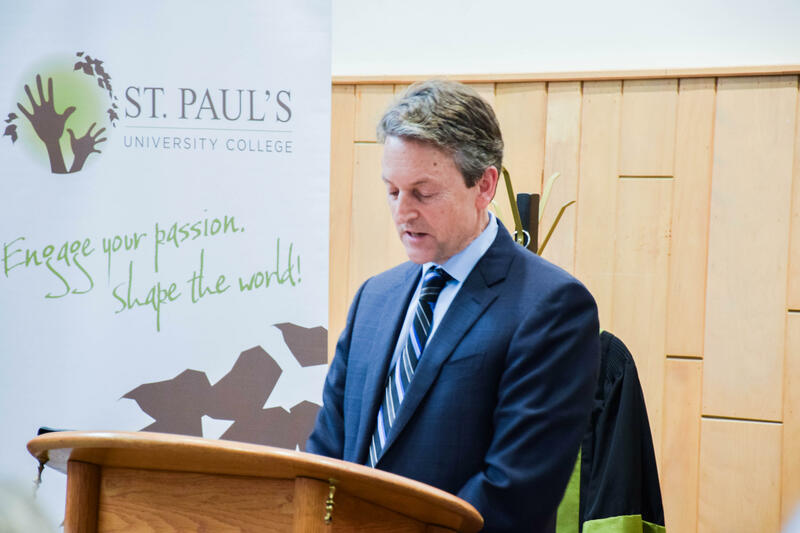 Mr. Gladu seemed genuinely touched by the heartfelt welcome, saying he was "blown away" by it. 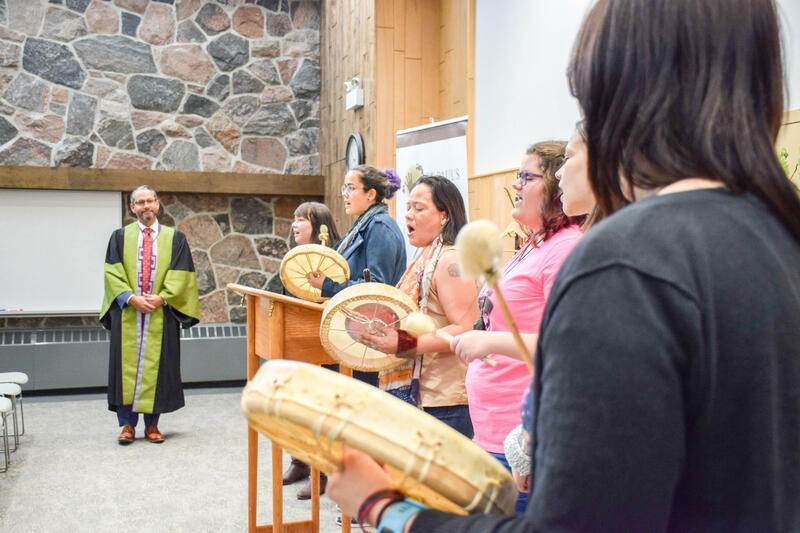 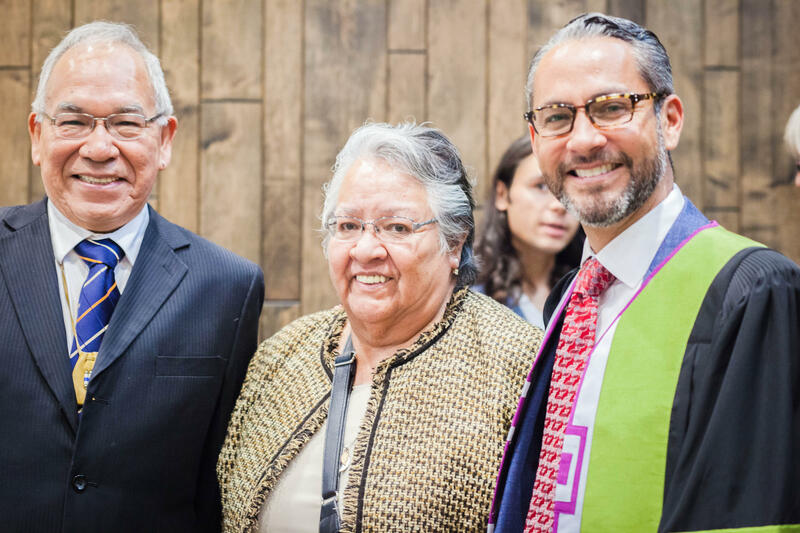 He added, "If my grandmothers could see where society is headed regarding Indigenization today, they would be incredibly proud."